Bihar Police Released a Recruitment For 11865 Post, Many More Candidate are Involve in this Recruitment and All Candidate are waiting for the admit card, this recruitment for Fireman in fire brigade service and soldiers. Police Constable and Fire Recruitment Vacancy are Started on 28-06-2018 to 30-06-2018. Exam date For Bihar Police Recruitment September to October. Now we are Provide Direct link for Download Bihar Police Admit Card, whose link are provide in this article when you open then may be coming admit card, you can check regularly if admit card come then download. Bihar Police May be Exam date Reasle exam in September to October month, you contine to prepare you syllabus for Bihar Police Recruitment 2018, You can Download Bihar Police Syllabus and crack this exam , after got successful. 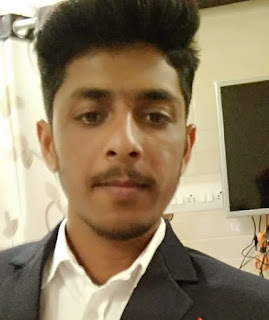 you need any help and you have any Question then you can frendly ask in Comment box given below. 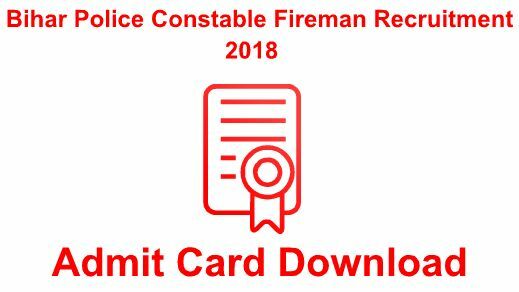 In Bihar this is Long time after coming large vacancy you can Read Bihar Police Constable and Fireman Recruitment 2018 Details, don.t miss chance of get your seat in this exam we are provide official website below for download Bihar Recruitment Admit 2018. Check your Admit Card Status on official website csbc.bih.in , when you open this site then you will so sidebar a option show recruitment, when click on it option after open new option for admit card , then click on Download Admit Card. (Click Here) then enter your required details and take print for entry in examination hall.